"You know, he [my father] gave me my first basketball. And it wasn't until I was in my 20s, and I thought back 'you know, no wonder I've been -- that's part of why I've been playing basketball this whole time.' That was that one signal of something he had given me," President Obama told ABC's "Good Morning America" in an interview that aired this morning. 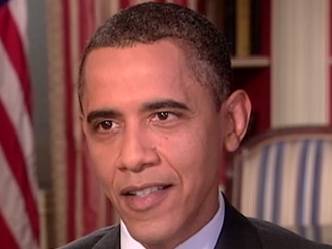 Obama: Weiner Will "Bounce Back"
Obama On Having A Son: "Michelle's General View Is We're Done"